I remember watching them when I was small. Watching them tease one another at 30, 40, 50. Watching them point to the hair at their scalp and laugh together that the color was fading from it. Watching my grandmother pull at her skin in the mirror, marveling at how it had crushed into itself like crepe paper. Watching my mother’s collection of jars and bottles of serums and creams on the sink grow. And I swore to myself I would enjoy getting older. I’ve watched as white hairs have begun to show themselves tentatively at the part of my hair. I do not hate them. They are surprising to me – I am fascinated. I am watching as the creases on my forehead deepen, evidence of a face that constantly betrays my emotions. I do not mind these creases. Being expressive comes with a price I am happy to pay. At 33, I am not old. I am still many times the youngest person in the room. But at 33, I am often among the only person in the room who is yet unmarried and childless. I do not feel bad about this. I do not feel less than or unlovely because I am single. I am happy to have the freedom that comes with not having children. And yet I am preparing for my next term on the field as 34 creeps up to me. I am not aging in a sense that my body is failing me or my mind is dimming, but age is presenting itself in my mind increasingly as I consider what my body will be able to do in a few years. It is in this phase of my life that, if I stay overseas, the door to having children will slowly close and lock. I am not asking for your solutions or your guarantees that it will happen. The truth is, it may not. And that is okay. I do not feel sorrow. But it is an odd feeling to consider that obedience to my calling at this age may close the door to having children. This is how the holy and the profane dance together in my life. Calling and obedience aren’t easy. They aren’t clean. Saying yes doesn’t provide you with a guarantee of favor or even an answer to your prayers. Saying yes may cost you greatly – it may even ask of you the years your body can produce life. 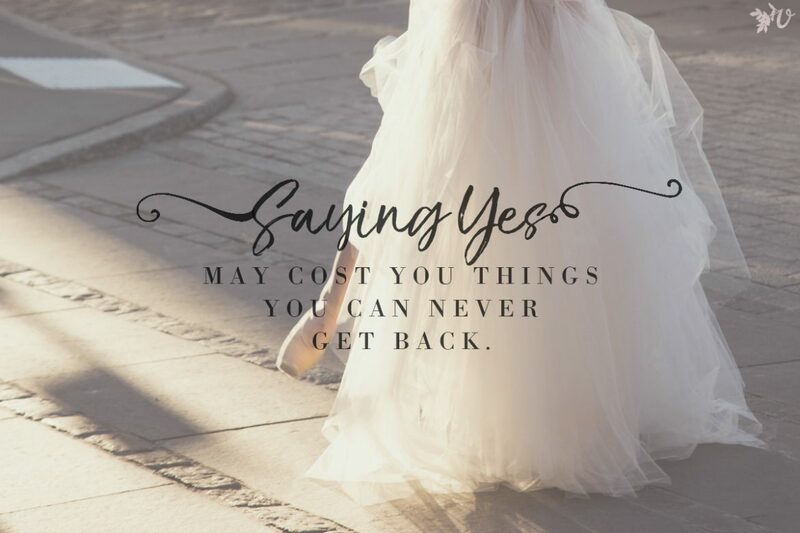 Saying yes may cost you things you can never get back. Many older than me would laugh at the idea that aging is something I think about. And yet the next few years will determine what the future will look like for me. I have had young girls confess to me that they want ministry but also marriage and motherhood, and I always look right into their curious eyes and assure them they do not have to choose. They can have both. I have friends who are incredible ministers who are wives and mothers. This not happening for me doesn’t mean it can’t happen for others. The Gospel is clear to us that sometimes it will come at a cost. Sometimes it will cost us the things we see others enjoy. That may be financial prosperity, material belongings, proximity to loved ones, or even marriage or parenthood. These are not things guaranteed for us for our obedience. Rather, they are things we have a choice to lay down for the sake of the Gospel. Having them is not a sin, but not having them is not a spiritual poverty. Here I do not offer you answers, but questions. Am I willing to sacrifice motherhood for staying on the field? 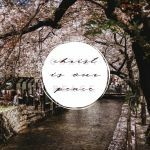 Am I willing to give years of my life away for the sake of the Kingdom oversea? Sometimes the answer is no. But for today – still – the answer is yes. In what ways is aging affecting how you view your calling? How has your calling shifted as you age? At 25, I’ve barely begun to consider myself as “getting older.” But the reality is that I come from a long family line of health-related problems, many that strike when you’re young. 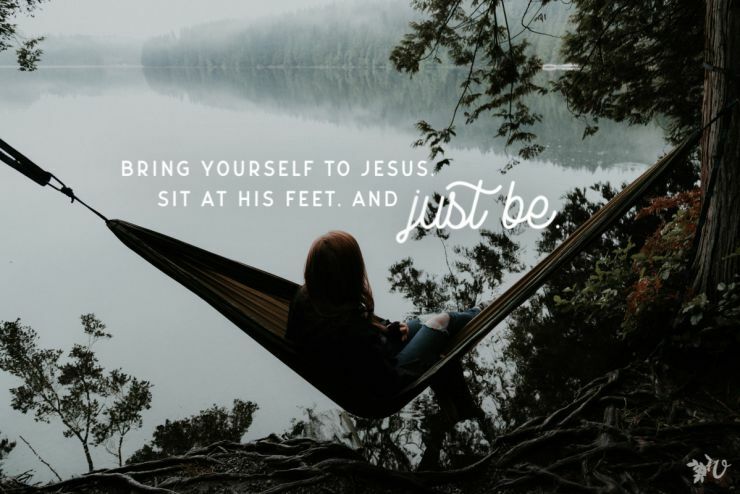 Add that to the daily stress and fatigue that comes with living overseas…and I’ve really had to allow the Father to redefine my calling and my identity, to align with His Word and His Spirit more than the expectations I have or my sending org. has for me. 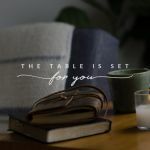 I must allow Him to be in control of my body, my tiredness, my cells and their strange aches and pains–and trust that, even in the rest it takes to survive, He’s still at work for His glory and His Kingdom, in me and through me. He’s still at work. Your last words are beautiful, Katie! 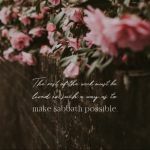 “I must allow Him to be in control of my body, my tiredness, my cells and their strange aches and pains–and trust that, even in the rest it takes to survive, He’s still at work for His glory and His Kingdom, in me and through me. He’s still at work.” Yes. This. So much what God has been teaching me, especially over the last year or so. Yes – good stuff! None of us are guaranteed tomorrow – I would much rather spend my life doing what I am called to do than trying to guarantee my own safety! Hey, Kelly. I completely get where you’re coming from. When I came on the field at age 25, I said goodbye to my plans of marriage and motherhood. I decided that God calling me to serve was His way of giving me children to love, and the deep friendships I made would be my family. And I did find contentment and happiness in that. Did it still hurt when yet another couple at church got married? Yes, but I reminded myself of everything God had given me. But I do want to share with you something else: even at 33, it doesn’t mean He doesn’t have someone for you; even in a foreign country, it doesn’t mean He doesn’t have someone for you. (It doesn’t mean He does either; I just don’t want you to close yourself off from the possibility.) I got married to a local just shy of my 30th birthday. If I hadn’t let go of my hopes and dreams to be a wife and a mother, God couldn’t have fulfilled them in this way. And rather than choosing between the two, I’ve basically sealed my fate as being “on the field” for the rest of my life. So, yes, young women, you can have both, and sometimes having one leads to the other. Hi Annalisa – Thank you for your kind thoughts! I am not closed off to the possibility of this happening, but I am realistic that it may not happen – and that is okay. I think a lot of my faith tradition in the midwest has made singleness such a sad thing of deficiency, and this is not how it is viewed int he Kingdom! What a beautiful thought though, that sometimes saying “yes” leads to the fulfillment of what our heart desires! I completely agree that there’s a lot of emphasis where I come from on getting married. Including one interesting pressure where the Bible states that they were “sent out in twos” which we’ve somehow interpreted this to mean married couples, but in the Bible it was a pair of men (who may or may not have been married; we know at least Peter was married at some point). Additionally, we have the example of Paul who went out primarily alone (although he commonly had a companion with him, but who changed regularly) who even stated that single people are better for serving God because they don’t have other distractions. Too often singleness is seen as being a curse instead of a blessing, and I think that’s a shame. All gifts from God, whether it’s singleness or a spouse, are a blessing. The longing for a spouse is there for me still, even at 32; friends and family look back at their lives and “how much has changed since 10 years ago”, and I look at mine and can only point to small things. God called me where I am. I followed. This season God keeps asking me if there is only hardship that comes out of my obedience and faithfulness, am I still willing to follow Him. I say yes; sometimes with tears, sometimes with confidence. Loneliness has been the hardest one to get through. Not necessarily the companionship of a spouse: we all know that even couples get lonely as individuals. But lack of companionship with married friends and church members who have let me go, left me out, talked around me, or discredited my worth, made assumptions about me, etc on account of me not having a husband. Your post was perfect, Kelly. I feel I identify so well. Thank you for sharing your heart. It’s one thing I definitely appreciate about my host culture. In the US I definitely felt like someone had left me at the kids’ table. 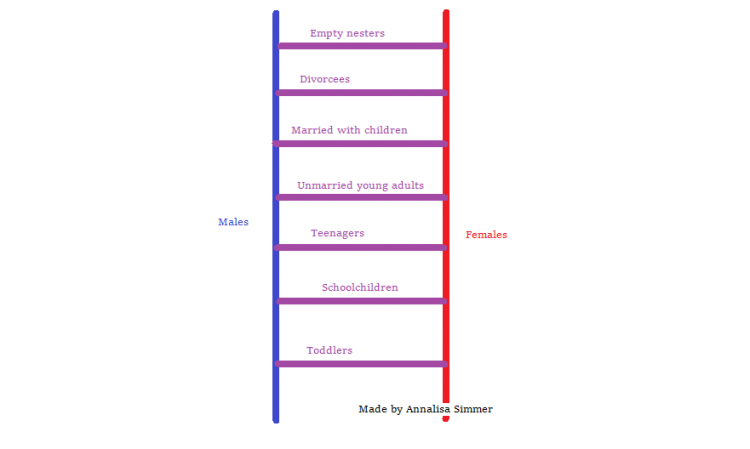 It’s because the culture of the US is like the rungs of a ladder where we only associate with people in our same “stage of life” whether that’s married, single, divorced, grandparent, college student, etc. In my host culture, we associate along gender lines meaning that all women, regardless of where they are in life–toddler to grandma–can all associate on an equal level. I admire all the young girls who says yes, inspite of what it might cost them. For me my calling came when I was a widow of 54, I am now 58. It seems that things should be much easier for me but I find these days, that there is a tiredness in my body…I want to rest…I do not want to walk for many miles every day. I want to be home with my unmarried daughter, who would love for mom to be staying with her again….my room is waiting for me. I want the easy life of teaching piano and growing older in my own country with family. I want…..but what does God wants….so here I am and at times I love being here….but some days I am just so tired! Thank you for being a model of faithfulness to us younger girls! What a beautiful thing to receive a new calling after such a difficult loss. Saying yes to God is not always easy. I’ve lost myself along the way in the field because of a skewed way of thinking that I had believing that I needed to only serve people and not take care of myself or even enjoy what I liked doing. I’ve been stressed, burned out and not wanted to see people ever again. But then, those were all my own undoing, because I had such idealistic views. I wondered if I would get married, and I did, by God’s grace. And now, we both have moved to a different country and are doing ministry together. What makes me want a “normal” life again is not having enough money. Yet, God has been faithful even through our hardest times and we’ve also had many blessings. Because He is always faithful and He has called us to be where we are now, that helps me continue to say yes because no matter what, He will never fail us and I can always trust that He is good. “Always good and always faithful” is one thing I repeat over and over about God on my hardest days. I often tell people they will never regret saying yes to Jesus – I believe it’s true! Thank you for sharing your thoughts – praying for provision and energy for you guys! The opposite should not imply that this will not be true if you don’t go overseas. Noone knows either way! Trust that God honors your obedience and allow him to love you and give you what he knows will fill your heart! Following God will always have a cost no matter where you are or your situation. Absolutely – one of my self-questions is always “What if I never get married anyway?” I could be single forever no matter where I live – so I would rather spend that time giving as much of myself as I can overseas! Kelly, thank you for sharing this! I’ve been struggling lately with the dreams I’ve had to bury, the things I’ve had to sacrifice to stay on the field. My focus shouldn’t be on those things, but on the One to whom I’m saying yes. I just turned 31, and didn’t really expect that I would grieve not having children (but a focus on women’s health and knowing the challenges/risks of pregnancy as one moves through the 30s makes it hard to believe when people tell me I still have plenty of time). But I’m learning that it’s okay to grieve, and to allow those longings to draw me even closer to the Father. I used to think the longings were bad, that I shouldn’t desire marriage and family as an overseas worker, but they are not bad things and the longings can point me to the very best source of the desires of my heart. Anyway, I’m still learning and struggling through all these things. 🙂 Thank you for sharing today! Thank you for sharing your thoughts, Sarah! I think for me, some days there is some grief and other days there is some freedom (especially when I find myself around a LOT of kids and need a break – haha!). Blessings to you! But Sarah, I hear you about challenges/risks of pregnancies later in age. Also the pressure this window of opportunity would put on a relationship if I were to meet a guy in the next few years. The other day, I found myself grieving that I wouldn’t be able to have a large spread of ages if I did get married. I come from a family with a big age gap – my older brother started college the year my little sister started kindergarten! Hard to pull off that trick if you’re still single at 30! My first “white” hair was pulled out by one of my kids at the orphanage where I work about two months after I moved to Thailand. I spent the 6 years prior serving in an international school in China. Now as I approach my 3 year anniversary in Thailand, followed by my 31st birthday, I think the white hairs have multiplied. At least 3 by the last count, and I try to stop the girls from pulling them out when they braid my hair. I look at the local women, creased with age and wisdom, and I want to appreciate the passage of time on my own face. I’ve spent every year since college graduation overseas. I go back and forth about what that means. Statistics would say I have a better chance of getting married if I moved back to America, though that is not guaranteed. Many friends that have moved back are now married. Some have kids. Three dear friends a few years older or younger than me, who haven’t lived overseas or at least not longer than a year, remind me that it isn’t promised. It isn’t so simple. And I’m stuck on the fact that I want to be here, and God isn’t asking me to go back, so I guess I want this life more than a perceived greater chance of marriage and kids. But I would love a partner in life here. And much of the time, especially in this season, I am feeling the sorrow. I hear you. I cry as I read your words and know there aren’t simple solutions. Being a wife, being a mother, isn’t promised. Many experience it. Not all. I know He is faithful. In the end, I won’t think He was holding out on me. But the in-between, the now, some days are harder than others. Also, I sometimes answer the question, “How many kids do you have?” with, “Hundreds!” It really is one of the blessings of singleness for me that I was able to pour into so many kids in a way I don’t think I’d have been able to do if I’d had my own to care for. And, it’s funny how now in my forties, I find myself investing in 18-25 year old’s! Yes, this is so true! I’m not quite to 30 yet, and people look at me funny if I say something about getting older or my child-bearing years growing fewer. I know I’m still young. But as I prepared to come here long-term a couple years ago, giving of my child-bearing years was something I had to face. It’s true that God is not limited. Marriage would not be a given if I were in America, and He’s just as able to make it happen here if He wants to. But the fact is, I couldn’t do what I’m doing if I were married and had children. In saying yes to this calling, part of the cost I have to count is that as long as this is God’s calling for me, marriage and motherhood will not be. And that may mean that “the door to having children will slowly close and lock.” Saying yes to that feels costly. But when I remember Who I’m doing it for, what He has done for me, and the rich rewards He gives for sacrifice, suddenly the cost seems small. Because He is worthy. Because it’s such a privilege to be able to (in a sense) give something back to the One who has given me so much. And because it’s impossible to out-give God. Beautiful! I think so much of it is that we need people to honor us for our work and not just feel sorry for us. I think a lot of women in my American context can’t imagine being fulfilled outside of marriage/motherhood. I don’t want them to feel sorry for me – I want them to be proud of me! It’s getting there slowly. I’ll be 48 in August and have been on the field since my mid-twenties. I had set my heart that marriage and family is something I was willing to give up if that was the Lord’s will and with each year, of course, it seems more certainly that it is. Being single, I often forget how old I am till I get back to visit college friends and watch as ‘we’ move from young newly-weds in apartments with old cars to soccer moms with suburban houses and mini-vans, to empty-nesters, some even with grandkids. In fact my younger sister is a grandma already! I’m also seeing the first-graders I taught my first year in Indonesia post wedding pictures, and I’m so grateful for the investment I had in their lives, many up through tenth grade before I changed fields. I’ve never given marriage a 100% no, but it would be at least as difficult now to give up all I enjoy as a single as it was to give up marriage in the first place, and kids is pretty much out of the question at this point! I have ‘what if I had…’ moments, but it always comes back to zero regrets. 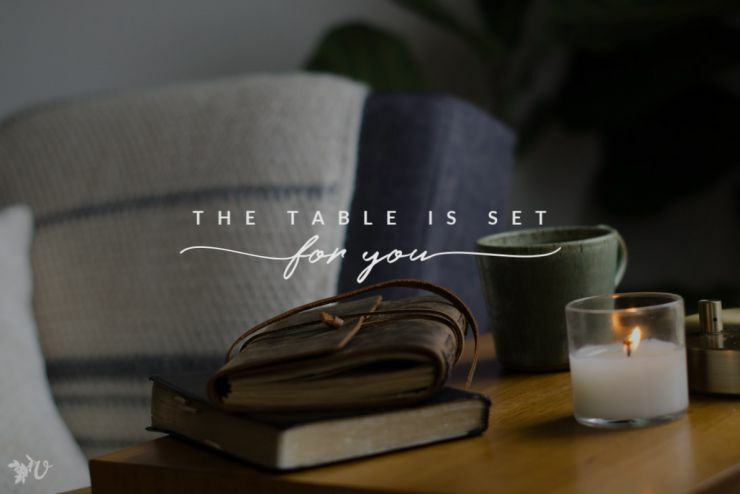 I’ve found over the years that the more I give up to say yes (with true abandon to Jesus and what He’s calling me to, not self-exalting heroism), the greater my capacity to enjoy Him. And I want to enjoy Him as much as I possibly can in this life, so whatever the cost of yes is in the decades to come, I pray I have the grace to give it all! Wow, Michele…that 2nd paragraph was a good kick for me! I have been wondering if I can handle sending my oldest to college and yet me staying on the field in 4 years (I know…borrowing tomorrow’s trouble!!). What you said about doing what Jesus is asking us to, not making ourselves be heroes will be key. It should be key to each day, each moment; I need to get back into asking that and be in good practice of being tuned in to Him so that I can be ready to listen for the larger picture calling stuff. My oldest will graduate high school in two years and we’re definitely having conversations about it already! I remember college and being 7,000 miles and a $2,000 plane ticket away from him seems just plain hard. T & Angie, I don’t think either one of you is thinking too far ahead when dealing with this question of sending kids to college so far away! I can’t imagine how hard that would be! May you both be filled with peace and wisdom and have much grace either for the separation when it comes, or for the transition back if that’s the route you go! What I find interesting is that some people think I have declined to be married, or have said no to ever being married. That is not the case – the opportunity just hasn’t come along. I don’t know if I believe anyone is ‘called to singleness’ – I’ve never met a single adult who has closed the door to that forever. Grace to you! I got married while on the field, but my husband is a local with a demanding civilian job. One thing I can really relate to with what you said is that giving up everything you have as a single is hard. Before getting married, I was blessed with the opportunity to travel and form friendships which led me to what I’m doing today (as well as pick up various skills) which would have been complete cultural no-nos if I had had a husband back then. Even now, due to his demanding job, I’m allowed a certain amount of freedom to spend my time as I wish; I think if I had married a man with a 9-5 job I would have gone crazy by now. The culture would demand that I have a clean house waiting for him every evening when he got home and that I would have dinner hot and waiting for him on the stove/table. Instead, I just have to have that every other Thursday…and he typically brings home dinner when he comes. I left for the field at 31 saying yes to the call that Jesus had put on my heart without even considering that I may be sacrificing something else in the process. God hadn’t brought someone into my life while in the states so there was no guarantee that staying would produce a husband, lol! I went and have stayed in the field (10 yrs this year!!) in obedience to God’s call. I believe that if God wants me married or to have a child then that will happen no matter my location or even age. Despite the fact that I don’t look my age (no grey hair), I am painfully aware that science doesn’t give me much hope of being a mother. Is it weird that I choose instead to cling to hope and faith? I know many women at my age start to get peace and let go of family dreams but I can’t seem to shake it. Instead it gets stronger and hope of family is firmly rooted in my heart. No matter what happens saying yes to God will always be worth it. I was 26 when I moved to France and I never thought much about the years I was giving to the field until recently. It is not a bad thing or a lack of faith for a dream to start a family to be in your heart – we were created for community! I don’t know that we as women will ever completely ‘let go’ of the idea of being a mother. Praying for you now that God fulfills that for you in some beautiful ways! Thank you for sharing about the often unspoken cost that many of my friends and coworkers count. This is true of those sent overseas, and the national staff who choose a strange calling that also limits their options. I appreciate you, and I know that God sees your every loss and is with you as you grieve. I can relate to some of what you say here. I am 42 and have never been married. Looking back at how everything has led to this point, and to this man in particular, I’m grateful for the waiting. But I wish I had spent the time more peacefully–at ease with who I was as a single woman. My impatience to be married led to many bad decisions along the way. Perhaps my impatience actually extended the wait, condemning me to even more of the solitude I was trying to escape. But it also helped me to find who I was as an individual, the same individual I will be with or without a partner. That journey will never end, even if/when I get married. The time is going to pass, and in my case much has passed. I think the door to motherhood may have closed for me too along the way, and my new goal is to find my peace with that so that I don’t spend any more of this precious life losing my peace over what is not. If I don’t fight that battle, the enemy may not claim my soul, but he will have claimed my life. He has already taken part of it away from me. I am determined to choose the joy that God has brought to my life over what is. It has to be an active decision, one I make every season (at times every day). I don’t always win, but I can’t win if I don’t choose to fight. You have so much to offer this world! Keep fighting for your joy in the work you’re doing! Especially “so that I don’t spend any more of this precious life losing my peace over what is not”. Applying it is of course much harder. It speaks to the places in my soul that are crying out to be understood and wrestle with the what is and what might be. Thank you for sharing. It put words to my heart’s journey. Kelly, love the thoughts. Just want to say how much I admire you young, brave women who go to the field on your own. The sacrifice of going to the field is never the living conditions or strange food but the relationships and the opportunity to have an “ordinary” life. Thank you for giving these years to the field. You enrich us all with your insights, enthusiasm me commotment to His call. Love you Deanne! So glad that you ‘get it’ – you are always a source of encouragement! I am now 36 and becoming more and more aware of the reality of just how short life really is. I have 4 children and still partially broken heart and mind from years of physical and mental abuse. I started Bible college at 18 with the idea that I would be a woman youth pastor… I had lots of dreams. But the void in me caused me to trade my “calling” for relatiosnship. One decision after another, I found myself where I never thought I would be. Now remarried to a womderful but imperfect man, life is still not what I ever thought it would be. But I am coming to a place where I believe His will is moment by moment, day by day. I have spoken and ministered in music, led worship and youth over the years. But I don’t know that at this point in life it will ever be “what I do”. I am BEYOND proud of you, Kelly, for saying “yes” to Jesus every day of your life! And for allowing Him to mold you, shape you, and grow you along the way. MANY are blessed because of this! Praying for you! Thank you Amy! Your story is so important – nothing is wasted in the Kingdom! Thank you for your words. I am 30 and about to move to the field for the second time. The month I turned 30 I wrestled with this feeling that I was possibly giving up my deepest desires to be married and have children as I moved overseas. Just like you, I came to the conclusion that His kingdom is more important, that ultimately my deepest desire is for others to know and be known by Him as I am. Most days I am excited and the sacrifices I am making don’t feel so hard… most days. However, some days are full of emotion and incredibly difficult. It’s encouraging to know there are others feeling the same way. I am 72 and have lots of white hair now. And yes, it does get me seats on the subway when I make my way to a city with that kind of luxury. I was called at age 54 as a single woman and was married 2 years later to a man from my home church. We now serve together in a small city in East Asia. How old is too old to be serving overseas? Our children are now in their 30’s and have their own lives. We do miss seeing our two grandsons grow up and can only connect with them in person once a year. But we continue to feel called to stay where God has called us and we continue to feel useful and needed. Sure, I don’t have the energy I did even when I was in my mid 50’s, let alone when I was in my 30’s. So I slow down and continue to do what I can. I wouldn’t give up these precious years of serving overseas. But it does amuse me to wonder how old is too old? We need you! I love you even though we’ve never met cause I see the Grace’s in my life and I treasure their addition to the cross-cultural community! Last year, we said goodbye to one such woman in our group. She and her husband served for 39 years in Thailand, including birthing and raising two children on the field. She was “old-school” and maybe turned some people off but I cherish her wisdom. Our first two interactions were a bit cheeky, with her being a straight-shooter and telling me what she saw (wrong) in the younger generation and our approach to this line of work. I loved her, though, and sought her out for coffee. To hear her stories and to get her perspective. I was really sad to see her go, but their health made it hard to climb into bamboo huts and sit on floors for hours. They felt it was time to move back to America and be close to family. Every Monday night that she came to our women’s group, where most of us were under 40, was a gift! I think as long as you can live (and feel God’s permission to continue living there), it’s not too long. Yeah, the pace changes. But the multi-generational aspect is invaluable. Health and visa-permitting, I say stay! I keep trying to convince my parents when they “retire” to come here and join the community. Thailand has a retirement visa option for those over 50 (haha!). Live, love, be present – pour into locals and into fellow “Ms” as long as God allows! This 30 year old says you’re not too old! Oh Stephanie, thank you so much for your encouragement to me, and affirmation of my continuing role on the field. My husband and I want to stay as long as we can, and we know that God is ultimately in charge of how long we will stay. Thank you for the affirmation of the ways that us “older ladies” can contribute to the lives of the younger women. One of my favorite things is mentoring some of the local younger women. I’ve adjusted now to the idea of being in my 30’s, but sometimes I do feel old already – old because my hopes have been disappointed, old because my body hasn’t coped well with all the stress and transition of the last few years of life, old because the course of my life has been quite different than I’d ever imagined, and I’m not quite sure how to imagine the rest of life. Sometimes it’s hard to imagine being alive for another possible 30, 40, 50 years when life holds so much pain. Not all the time, but sometimes. And, it’s hard to know what to dream when so many dreams haven’t happened. And yet, I do have hope. He has given me the promise of “renewing my youth like the eagle’s”. Heaven is a much more real place to my heart than it was before. Sometimes I look at His creation and in all the beauty and new life, I can see that yes, He will make all things new! What a glorious thing that will be. I’ve heard some people refer to this part of life as a “second journey” . In the beginning, we leave with confidence, and lots of idealism. There’s a lot of good in that, and we need so much of that even to get us out of the door in the first place… but there’s a lot of ego there too – even when we’re sure there isn’t! And, of course, in order to mature us, God has to break down so much of what we’ve relied on up to now. As a 20, 25 year old I thought that as long as I loved God, I could kind of float through life… facing pain yes, but somehow… I didn’t really think it would hurt, didn’t think that anything could topple me over, make me so confused I didn’t know what my life was all about anymore. I thought I would always be on top of it… but that hasn’t been the case! And actually, now I see that is a good thing, a merciful thing. He has still been there even when I couldn’t see Him very well, and He still has good things in store for my life… even though I don’t know exactly what they will be. I can see that even though marriage and a family are good desires, they are not ultimate, not what makes me real or alive. (I also have enough married friends to know that marriage can present just as many difficulties as anything else! ) I also have less of a need to “have to” be where I am. This is where He has placed me, and I’m so glad for that. But, this too isn’t ultimate. He doesn’t NEED me here, but He has good purposes in setting me here. And, finally, I think I have less need to see ahead now. There’s a part of me that is able to rest better, to treasure what He has given now, and to trust that He will continue to do good. Trouble in this life is never very far away… and yet, He has given so much good even in the middle of it, and He will continue to be faithful forever. “I am not asking for your solutions or your guarantees that it will happen.” Yes, well put. Thank you for sharing. Beautifully written Kelly and beautiful comments. This post describes me exactly, literally every detail. So good for me to read and think through and be reminded why I’ve chosen to follow God on this journey even when it’s hard. Or live his own life? Will he give it all over and follow the Lord? And live a life worthy of his Master and King. My King and my Lord. My precious new son we will meet once again. No the cost was not too great! Great article and thoughts. Of course, as a single, 47 year old M who just had a hysterectomy, all these thoughts have been there for many years. Now, on this side of things, I have come to believe that perhaps we are raised in an environment of equality as it relates to life circumstances. But I do not believe that we ever have a complete assurance of anything to remain “normal”. I do believe we can make choices, see things differently, and come to a greater understanding of how fulfilling our lives are without the expectation that it be like everyone else. I also believe that we need to teach & believe a new narrative that allows life to happen for others, and not feel sad that it doesn’t happen for us. You are complete. You are fulfilled. You are valuable with or without children. You get to choose and whatever you choose does not go against Gods plan. 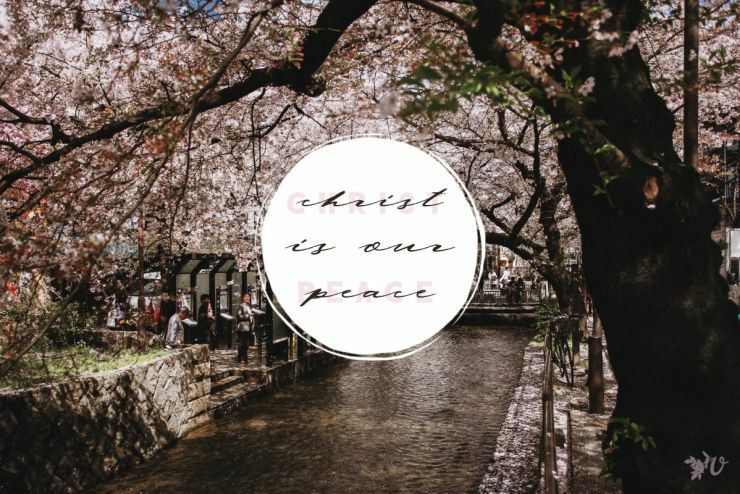 I pray that you find peace as you choose to do what God has called you to do, and that the common expectations from others become less & less prominent and never cause you to feel less than. Build relationships. Have children. Do what you do best. Even if it is all very unconventional to the world around you. God has known how your life would be from the time you were conceived and He is pleased with you. I’m certain. Be you. He created you to be none other than exactly that. Thank you for your thoughts. I am approaching 42 this month and am moving back overseas. I am still single and have no children. I find that I have made peace with not having children. God has given me much grace and many littles to love and invest my life in. I am whole and complete, but I long for a companion to share in the good and the bad. I appreciate your heart and reminder that we are not forgotten or lost in the Kingdom. May we all love fully everywhere we are!